tanaRi events is an event planning company, specializing in weddings and social events is looking for day-of-coordinators for social events & the upcoming wedding season. We are looking for someone who is driven & passionate about the events industry and someone who is willing to work hard in order to succeed in the business. Must have some previous event experience via past jobs, internships, or volunteer work. Must have flexible work schedule and be willing to work evenings and weekends. Assist to make sure that event set-up and décor for ceremony and reception are complete. Work with tanaRi events team to ensure the event runs in a timely fashion, smoothly and successfully. 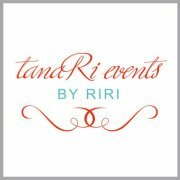 Please contact info@tanarievents.com with your resume and cover letter if you’re interested.